Are you a beginner surfer looking to buy a used surfboard? If yes, I have some good tips for you! First things first, know what kind of surfboard you “think” you want to buy. This might be based off of previous boards you have rented and enjoyed riding or maybe even someone with more surfboard knowledge informed you on the type of board you should look for. Before you go board shopping, my best advice is to know before hand the general shape and size of board you want. My advice if you are beginner is to look for a longboard surfboard. Something in the range of 8 feet to 9 feet is a good general range. You will want the board to have a big round nose, a wide body and a lot of volume. This is the best beginner type board. If you are more experienced, you may look for something more in the “fun board” size and shape. Foam? Soft Top? Epoxy? Fiberglass? Foam Surfboards: Many beginners are confused as to what is the difference in materials when it comes to surfboards. 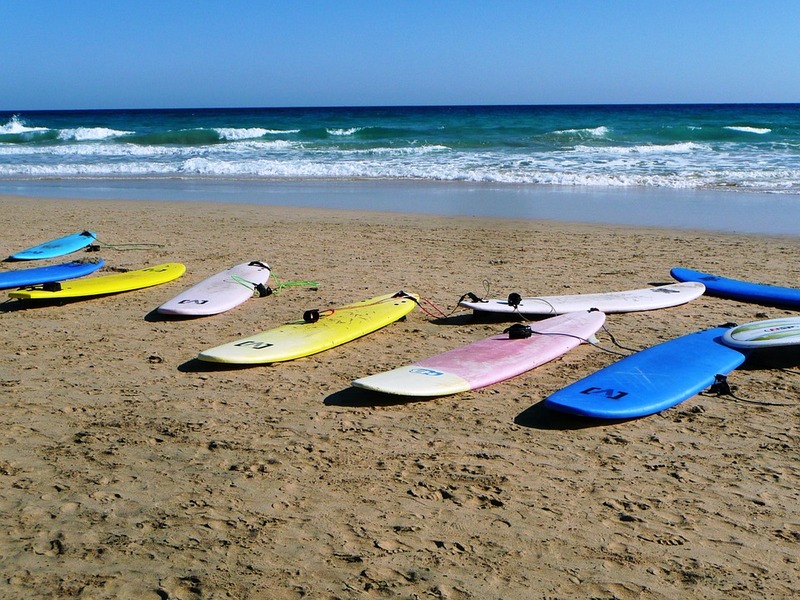 Foam boards are recommended to beginner surfers or for younger children who are learning to surf. Foam boards do not require wax. Foam boards, however, do not have a very long lifeline, which can be a con. If a foam board is damaged there is no way to repair it and the water load inside the foam will eventually cause the board to become ruined over time. Foam boards not he pro side are very cheap, about a third of the price of any other material board. Sometimes foam boards are easy to find second hand and but in some places more difficult as they are often used in businesses for day surf lessons. Soft Top Surf Boards: Similar to that of a foam board, there are some surfboards like SurfTech that have a slightly softer top (kind of like a yoga mat material). Again they are cheaper than Epoxy or Fiberglass boards but usually do not have a lifeline of very long either. Epoxy Surfboards: This is a more high quality board. 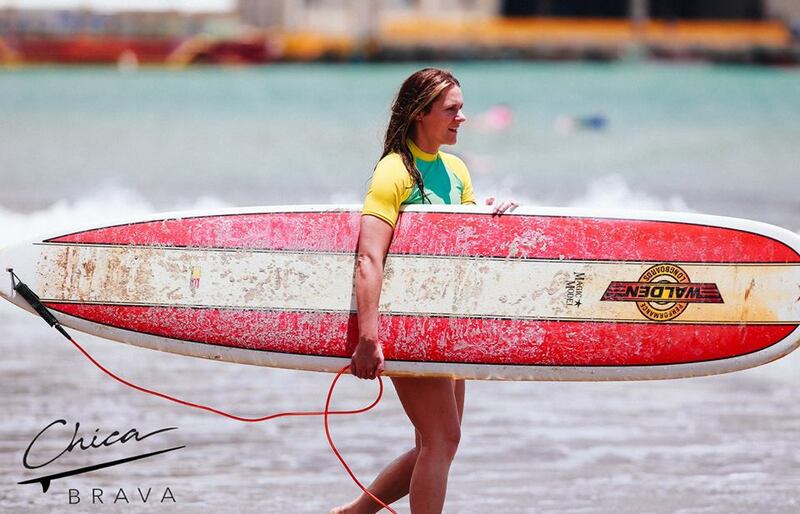 Compared to fiberglass boards, Epoxy surfboards are very durable. If you are a beginner I would recommend an Epoxy longboard from all of your choices simply because of their bouncy and durability, both great for beginner surfers. Fiberglass Surfboards: Fiberglass is a high quality type of surfboard. They can be easily dinged which may not be ideal for a beginner surfer. Depending on your style, however, fiberglass material might be your choice. When buying a used surfboard, make sure you see all your options before making a decision. Some surf shops will try to sell you a surfboard that is way more than what it is worth. They may try to convince you it is the perfect board for your size and level when really they just want to get it off their shelves. As I mentioned before, this is when you would want to make sure you already have an idea of what type of board you are looking for. When buying a used board, you should always try to negotiate the price. Remember that you will continue progressing in your surfing and eventually will want to try out a different board. Remember that this board is not meant to be paid with your life savings. It is a used surfboard! Keep that in mind! With that said, you should do some general research about the going rate of surfboards in your area. From one place to the next, surfboards could cost many different prices and it is up to you to know about how much to spend on a used board before going shopping for one. Does it have a lot of dings? Has it been broken and repaired and repainted? Does it come with fins and a leash? Does it feel heavy and water logged? Is it the right shape and size for me? Is it a good price? Hopefully these tips have helped you to better understand what to look for when buying a used surfboard. Good luck surfboard hunting from Chica Brava Surf Retreat in Nicaragua!